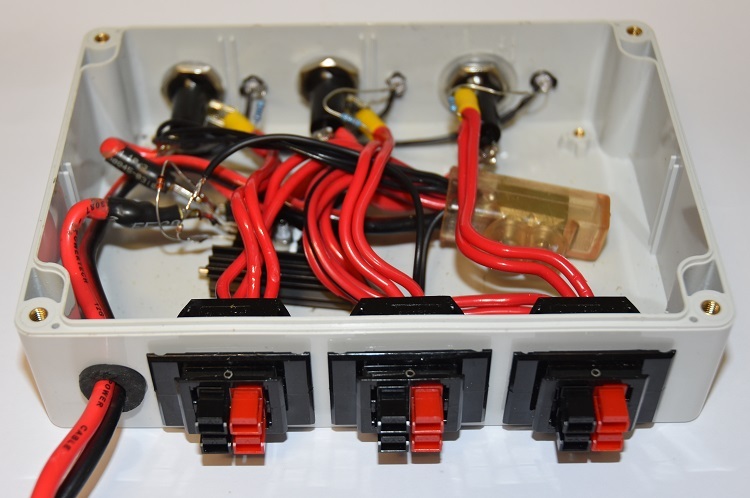 12Volt DC Distribution Board using 30Amp Anderson connectors and including reverse polarity protection. 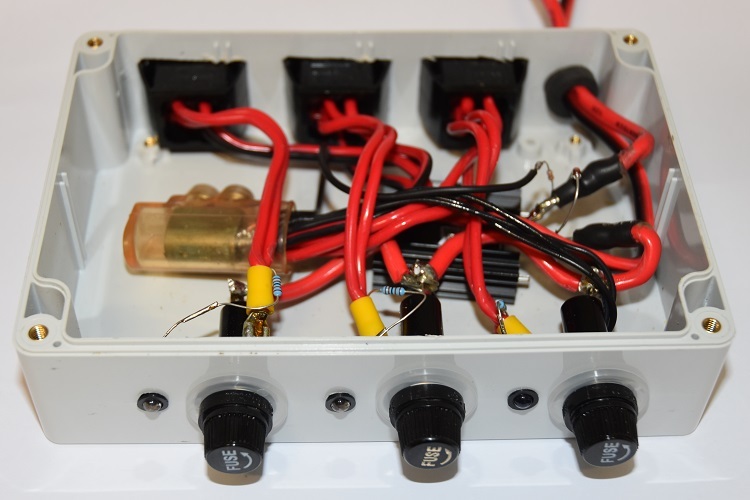 With most of my 12v equipment standardised with Anderson connectors it has become necessary to construct a 12Volt DC distribution board to create some order, segregate and protect groups of supplies to various equipment. With appropriate fuse protection and reverse polarity protection, the compact 12Volt DC distribution board uses 30Amp Anderson connectors mounted with snap in Anderson connector panel housings that have two circuits per housing, each group of two circuits is protected with a fuse of typically 15Amps, however the fuse protection could be a lot lower depending on requirements. The supply to the distribution board has an inline fuse of 25Amps and also includes reverse polarity protection in the form of SUP53P06 P Channel Mosfet that will in the advent of the supply being inadvertently connect in reverse polarity, this will block damaging current flow in this event. 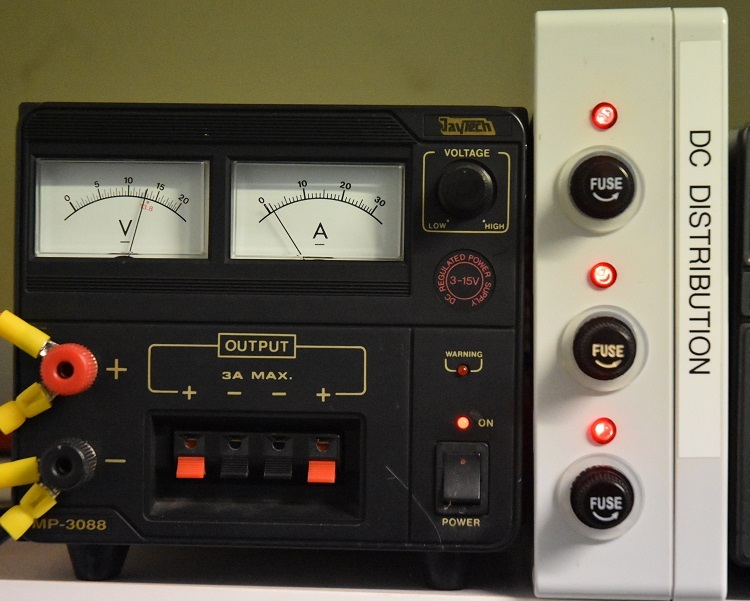 Each fused group also has a relatively bright LED indicator light to indicate a healthy supply to that group. 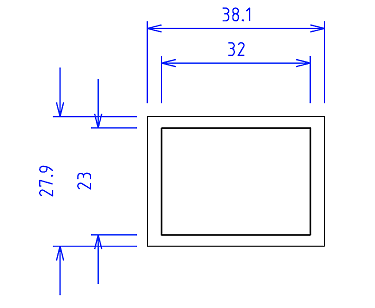 The SUP53P06 P Channel Mosfet has a very low forward resistance at approximately 0.02 ohms resulting in approximately a 4.5Watts loss or a volt drop across the device of 0.3V at 15Amps. 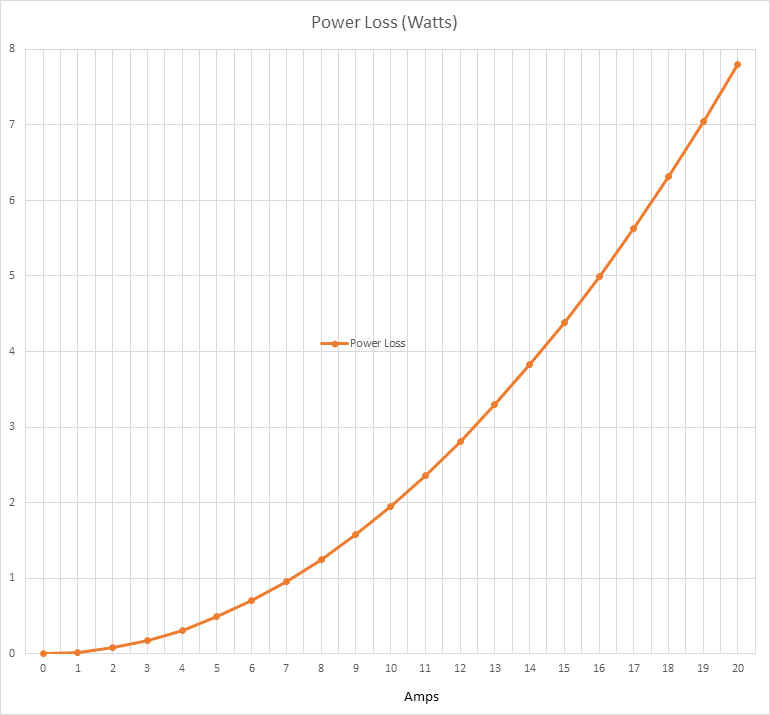 The Mosfet is also attached to a heatsink as the potential power dissipation could exceed the device rating of 3.1Watts. 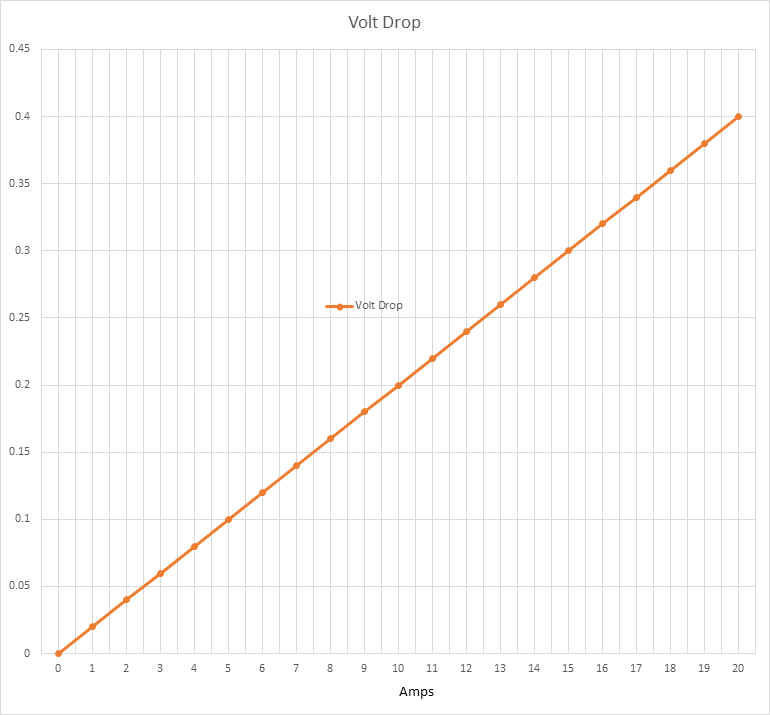 Fig 2 Voltage drop across the SUP53P06 P Channel Mosfet based load current. 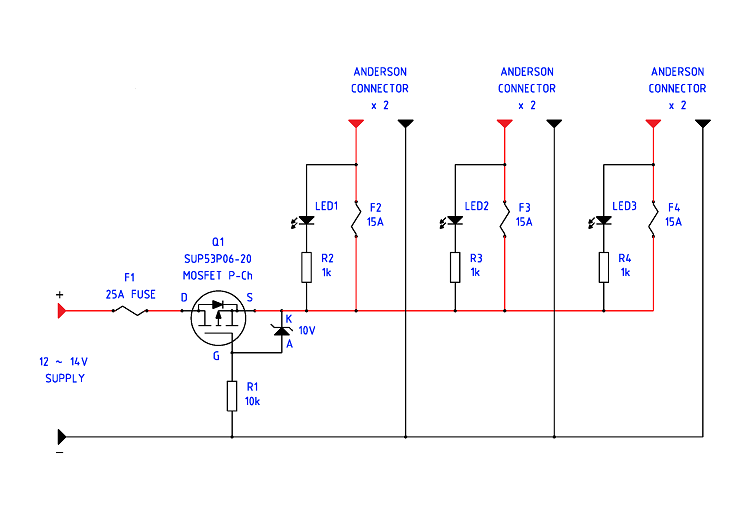 Fig 3 Power dissipation by the SUP53P06 P Channel Mosfet based load current. 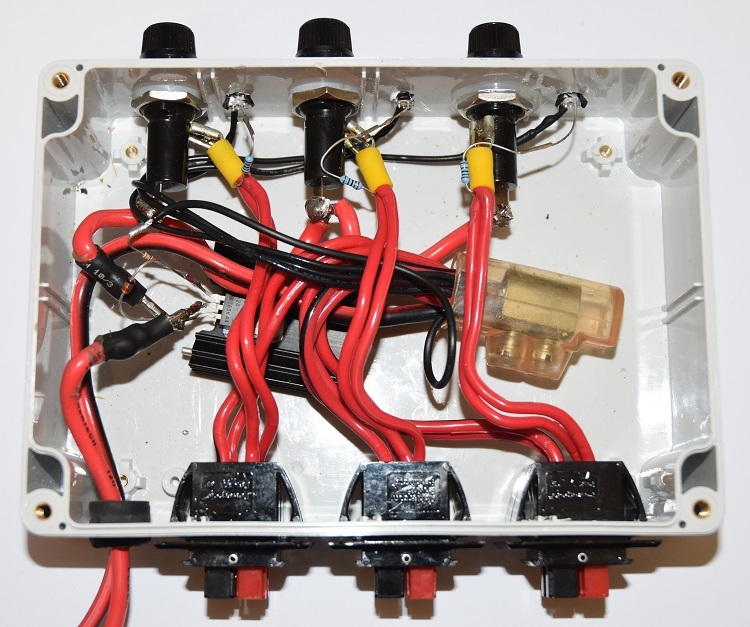 DC distribution board is housed in a 170 x 120 x 55mm polycarbonate enclosure with Anderson connectors mounted with snap in Anderson connector panel housings mounted in the rear and with fuse and indicator LED mounted at the front. Photo 2 Anderson connector panel housings cut out. Photo 3 DC Distribution Board top cover off view. Photo 4 DC Distribution Board front cover off view. Photo 5 DC Distribution Board rear cover off view.